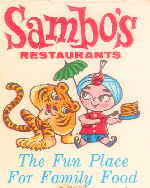 Ingrate that I am, I actually didn’t remember a Sambo’s Restaurant at all, and I forgot to ask my mom about it. Is it just me, or is this Sambo sugar-coated? Yup, it’s a politically-correct, whitified Sambeau, not to be confused with the actual child in the story whose country of origin is India! *sigh* it’s amazing how all that early childhood exposure to reading and food, left your brilliant, yet feeble mind. After reading the story, you wanted to try pancakes with tiger butter….so we made a field trip out of it, all the way to Santa Barbara! Later on, you even got to go to the original MacDonald’s, Polly’s Pies, Taco Bell, Tommy’s, Golden Bird, and more….a regular food explorer you were, from very early on. 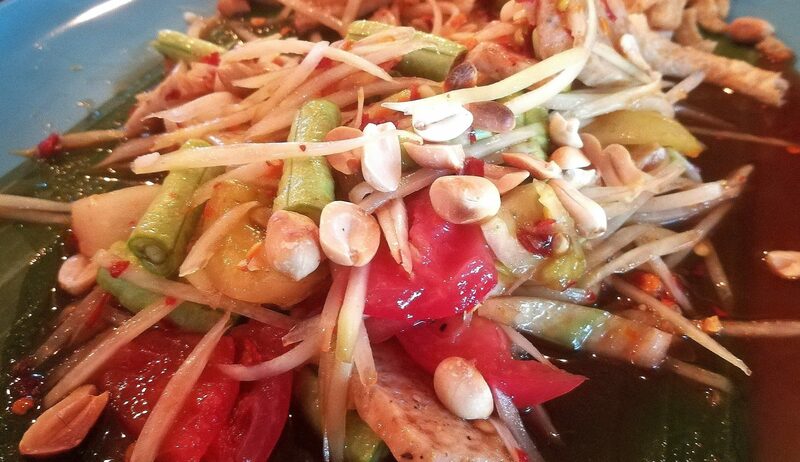 Discovering the Joy of Good Eats is important, right? Who else do you know that’s tried birria homeboy style? Roasted goatmeat, yummm! Thank BigDaddy for his good food genes! The name derived from a combination of the original owners Sam Battistone and Newell Bonette who commonly were referred to as Sam and Bo. When they discovered the book “Little Black Sambo” written by Hellen Bartrum in 1899, they thought it was the perfect match. Today, this original Sambo’s is the only one remaining in America.